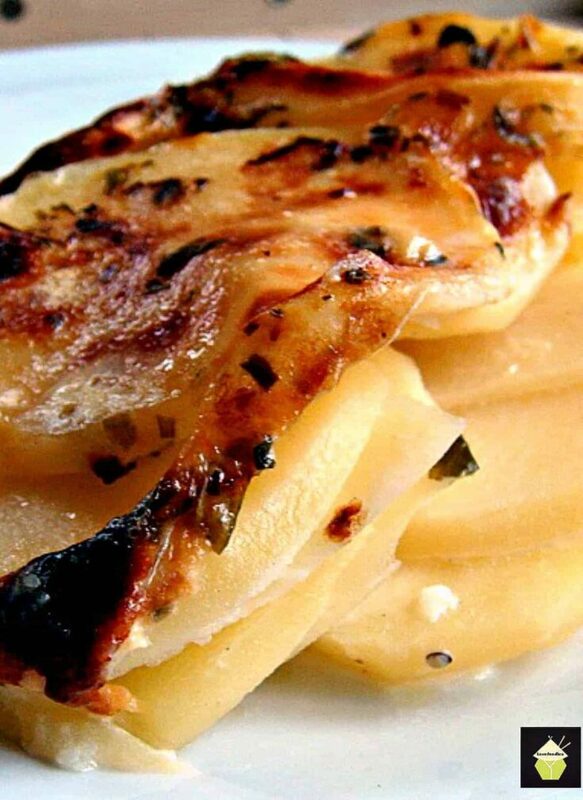 Creamy Dauphinoise Layered Potatoes, a nice side dish to go with dinner. 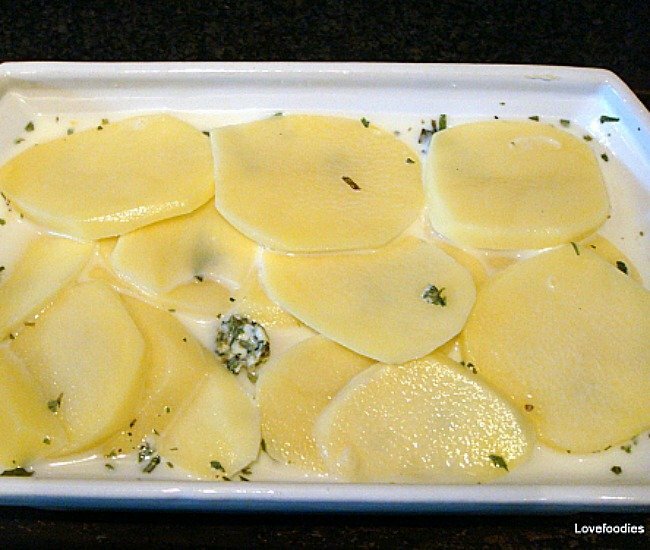 Creamy Dauphinoise Layered Potatoes, a nice side dish to go with dinner. It’s EASY to make and really is delicious! Creamy Dauphinoise Layered Potatoes is a wonderful dish which you can serve as a side dish for a weeknight dinner or have with a Sunday roast. 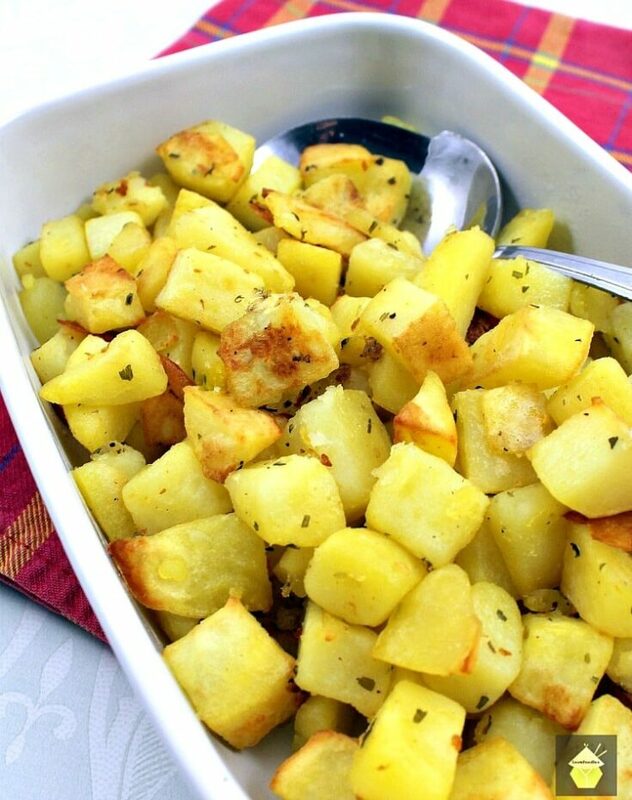 Potatoes are a wonderful ingredient and so versatile. They’re inexpensive and will go with so many dishes. If you stopped to think of the many ways you could cook potatoes, it’s no surprise it is the most popular dish to serve as a side. 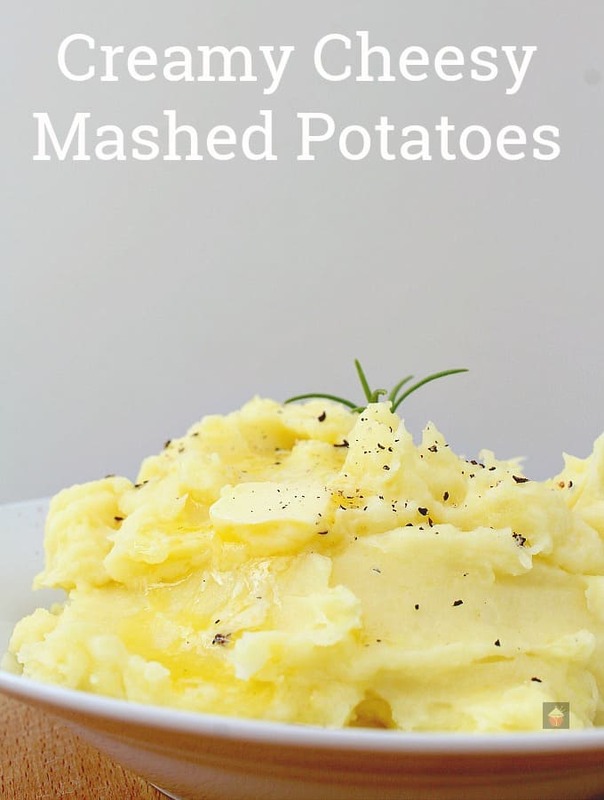 Maybe you’re one of those who always seems to serve your potatoes the same way, perhaps mashed or boiled. Maybe fried. 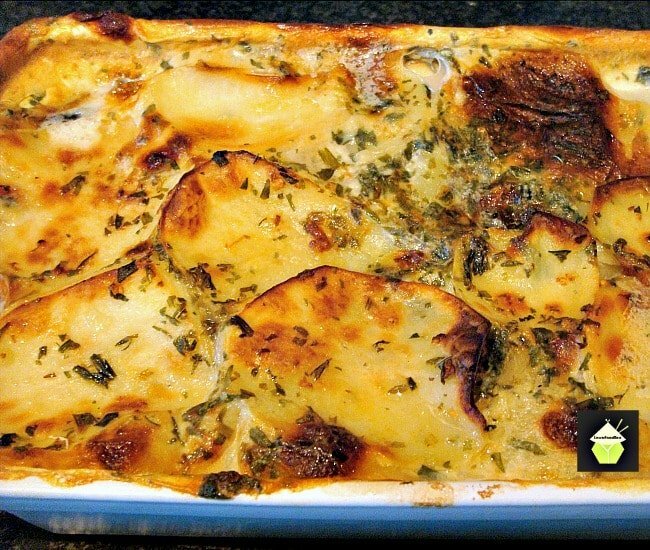 Well, today, we have a lovely recipe for you, Creamy Dauphinoise Layered Potatoes. The recipe is very easy to make, and so convenient you can prepare it ahead and simply pop in the oven when you’re ready to cook. This works really well if you’re planning a dinner party or perhaps a variety of different dishes, say, for Thanksgiving. You’ll note from the ingredients below, you have a choice of using full-fat cream or milk. I have used half fat milk because there are fewer calories. If using full cream, you will, of course, get a much richer and creamier dish, but you choose which suits you best! 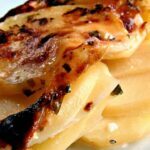 So let’s get straight to the recipe and see how we make our Creamy Dauphinoise Layered Potatoes. Please enjoy! 1 Tablespoon of Cornstarch IF USING MILK. You can add grated cheese although as a side dish it may be a little rich. It’s your choice! Regarding the milk / cream, you can use a combination of half milk & half cream, or all milk, or all cream. Depends on your budget and if you don’t mind the calories! So long as you have enough liquid to cover the potatoes in the dish. I used half fat milk in my photos as I was counting calories. **** If using milk, ADD 1 Tablespoon of cornstarch to the milk and stir to dissolve. You need a dish deep enough and large enough to hold the potatoes & liquid. For 4 medium potatoes, I used an oven dish measuring 10″x 6″ and 2″ deep (inches). 2. 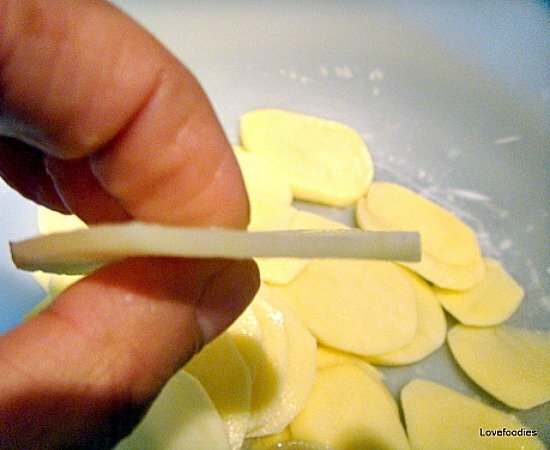 Peel potatoes and then slice to a thickness of 3 -4 mm. Any thinner and the potatoes will turn into mush when cooking. Once peeled, rinse & dry them on a clean tea cloth and transfer to a large mixing bowl. 3. 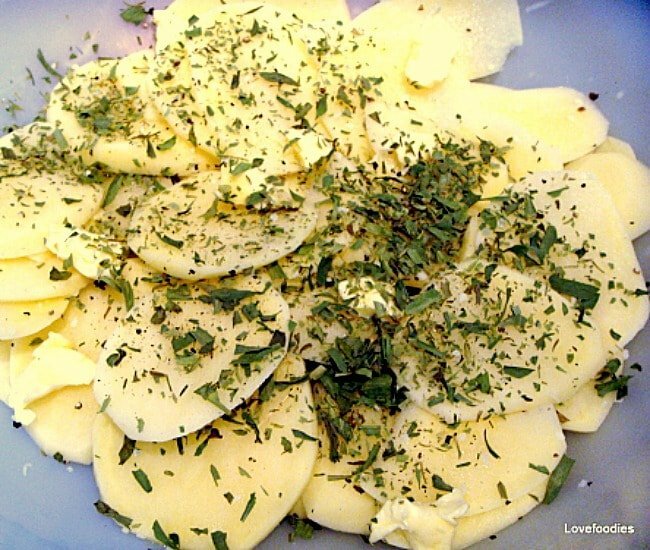 Add your herbs, grated garlic, salt, pepper, and butter, (break the butter into little bits) and use your hands and carefully mix everything well so the potato slices are coated nicely. 4. Layer the slices in your dish, covering all the gaps, keep layering until done. **** Remember, if using milk, add 1 Tablespoon Cornstarch to the milk, stir to dissolve then add to the potatoes. 6. Place in a baking tray (to catch any spills). Put in the oven for cooking. Depending on how large your dish, cooking times will be between 1 and 1 1/2 hours. A guide will be the golden color on the top, and also if you poke a knife in the potatoes, you can feel if they are cooked. When you are ready to serve, use a knife to cut the portions, and then a slotted spoon to scoop the potatoes. If you have used milk there will be a little liquid left in the bottom of the dish. I sometimes use this liquid to add to a soup….it’s delicious and I don’t like to throw things away! We’d love to hear from you and what you thought of our Creamy Dauphinoise Layered Potatoes recipe. Did you make any changes or add some other goodies? Let us know in the comments below. Thanks for reading and happy cooking! Easy Baked Garlic Potatoes. Delicious served as a side dish or as part of a breakfast! Super easy recipe with extra serving suggestions for you. 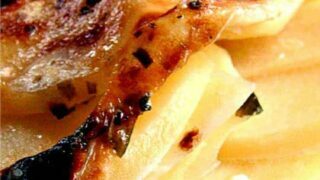 Easy Baked Fries! This is a really easy and delicious side dish, perfect for a snack, parties, BBQ, or a weeknight dinner side dish! Full of flavor and delicious with your favorite dipping sauce! The recipe uses regular potatoes and sweet potatoes for extra flavor and a splash of color to your dish! 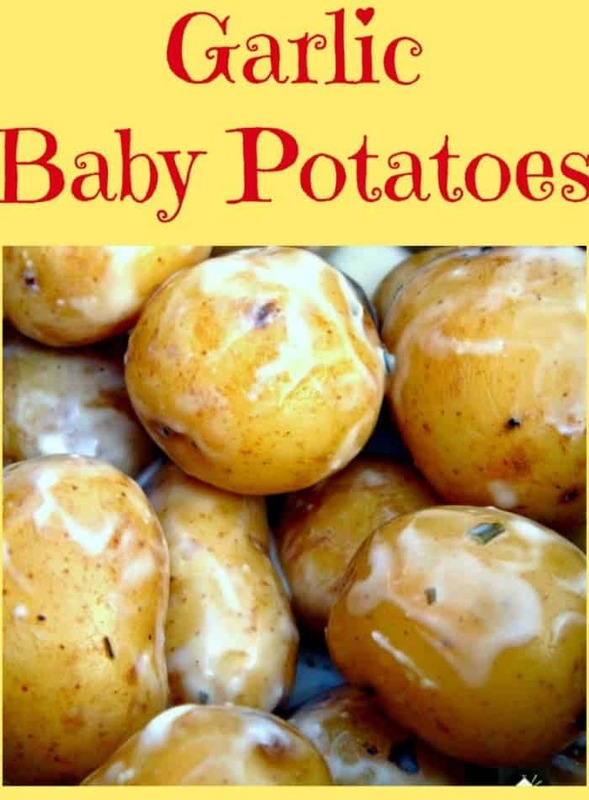 Easy Baked Baby Potatoes. Incredibly easy and absolutely delicious little baked potatoes, perfect as a side dish and goes with any meal! 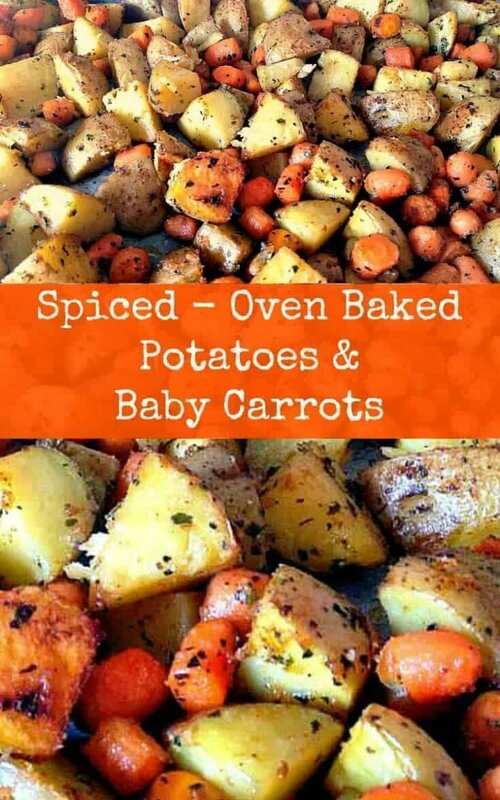 Spiced - Oven Baked Potatoes Baby Carrots. A popular family recipe and very flexible with the flavors and ingredients. Garlic Baby Potatoes. 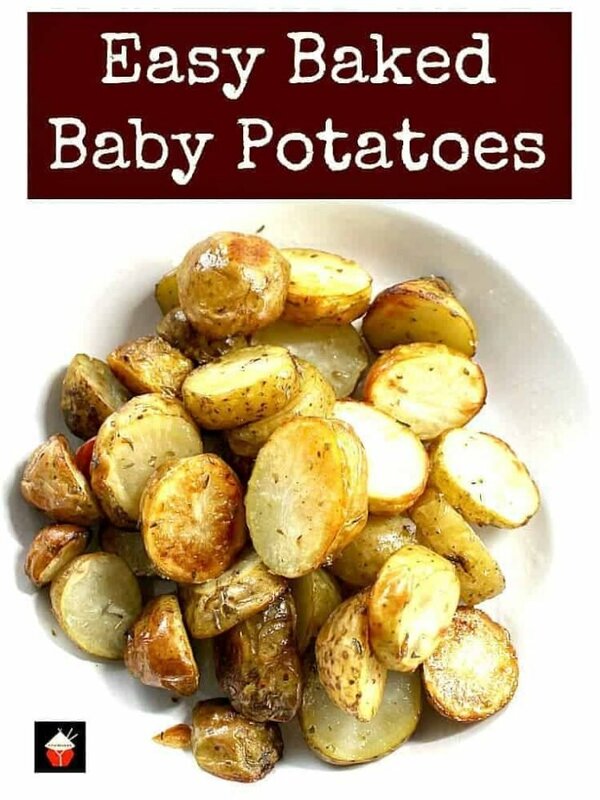 An incredibly easy and quick recipe using tender baby potatoes, in a creamy garlic and herb coating. Delicious served warm and great for outdoor eating too! 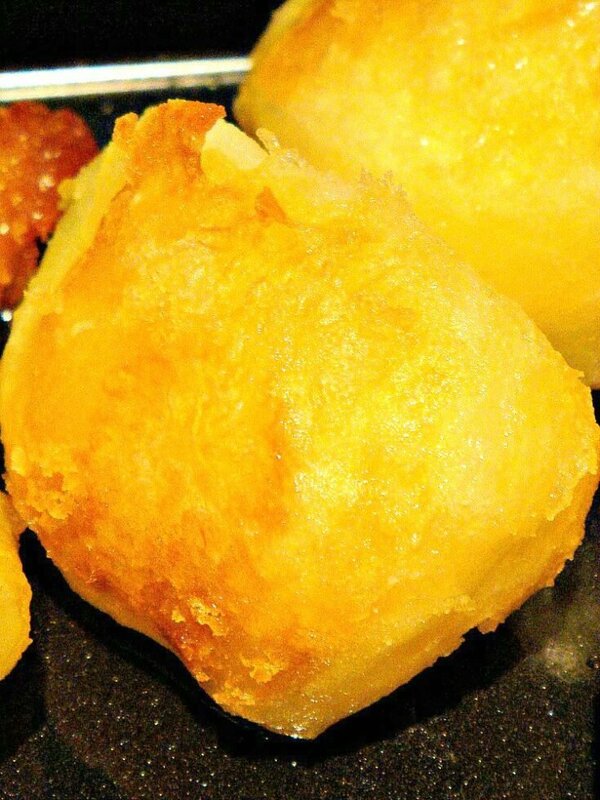 Super Crispy Crunchy Roast Potatoes. Crispy on the outside and fluffy inside! 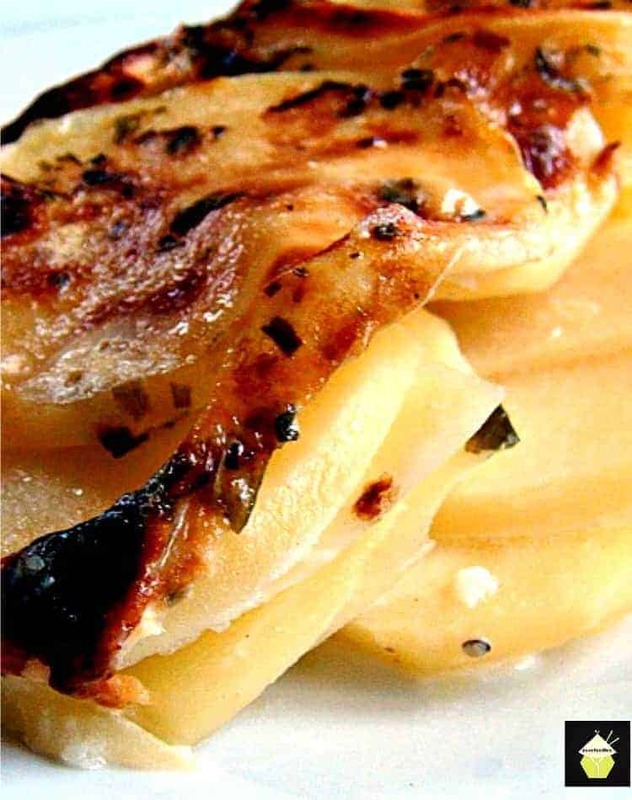 Creamy Dauphinoise Layered Potatoes, a nice side dish to go with dinner. It's EASY to make and really is delicious! You can add grated cheese although as a side dish it may be a little rich. It's your choice! You need a dish deep enough and large enough to hold the potatoes & liquid. For 4 medium potatoes, I used an oven dish measuring 10"x 6" and 2" deep (inches). 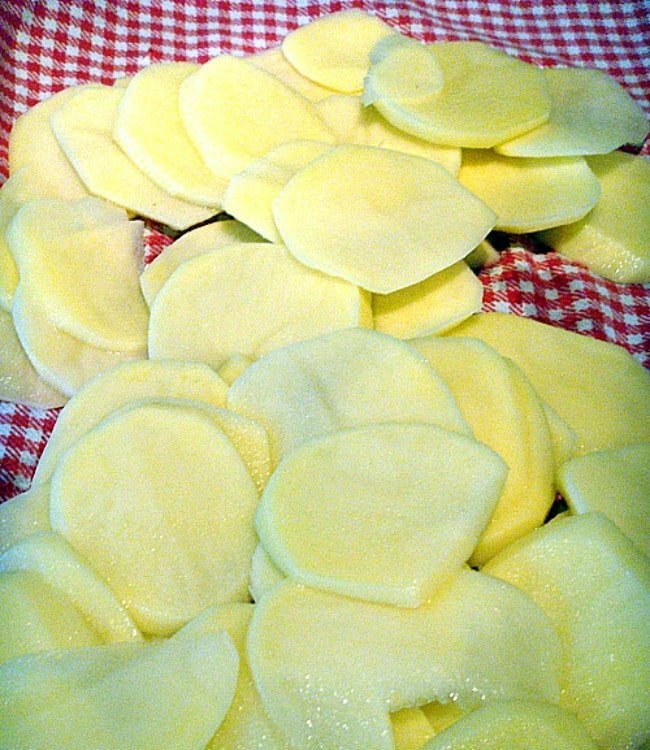 Peel potatoes and then slice to a thickness or 3 -4 mm. Any thinner and the potatoes will turn into mush when cooking. Once peeled, rinse & dry them on a clean tea cloth and transfer to a large mixing bowl. 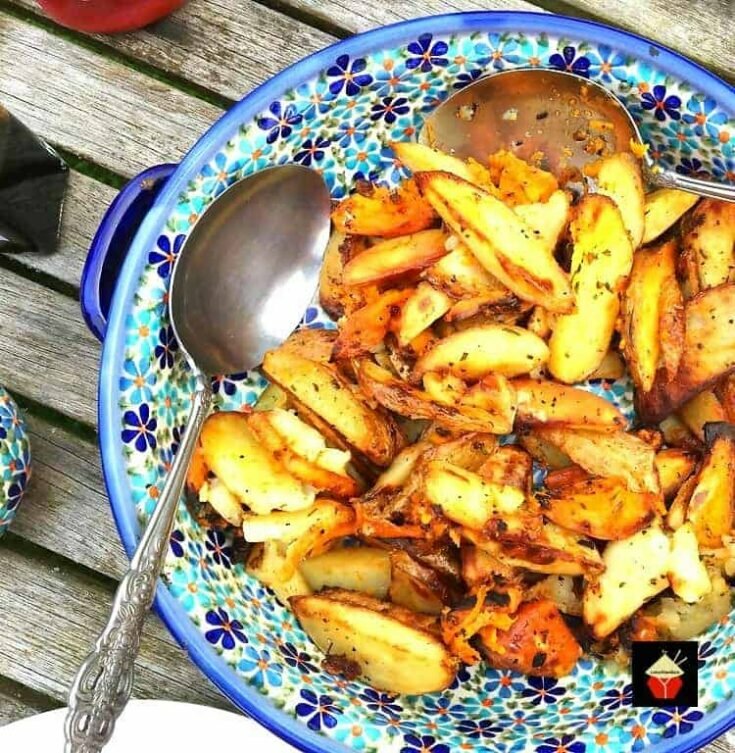 Add your herbs, grated garlic, salt, pepper and butter, (break the butter into little bits) and use your hands and carefully mix everything well so the potato slices are coated nicely. Layer the slices in your dish, covering all the gaps, keep layering until done. Place in a baking tray (to catch any spills). Put in the oven for cooking. Depending on how large your dish, cooking times will be between 1 and 1 1/2 hours. A guide will be the golden colour on the top, and also if you poke a knife in the potatoes, you can feel if they are cooked. When you are ready to serve, use a knife to cut the portions, and then a slotted spoon to scoop the potatoes. If you have used milk there will be a little liquid left in the bottom of the dish. I sometimes use this liquid to add to a soup....it's delicious and I don't like to throw things away! This is going to be served with ham tonight! Yummers! oh yessss! Perfecto! Please enjoy! So glad you like the recipe Lien! Please enjoy!